A pirate ship was one of the most important tools a pirate captain had at his disposal. During the Golden Age of Piracy, each specific type of ship had different attributes and characteristics. While any ship could be a pirate ship, some were better than others. The largest pirate ship, with a few exceptions was comparable to a frigate or a brig, while the smallest pirate ship might only have 4 cannons and have been a sloop, schooner or brigantine. Pirate ships were more than just sails and cannons. They were the homes and work places of men who required food, water, supplies and equipment. There was a limited space aboard a pirate ship and the more men and supplies were on a ship the slower it went. Often pirates moved in fleets which allowed a faster ship to engage a ship while a more well armed ship could approach. This tactic often lead most merchant crews to surrender and give up their cargo and often leave with their lives.  There are many different Pirate Ships and each of them served a different purpose in piracy. For example, smaller ships could be used to scout and approach a targeted prize ship while larger vessels could bring in reinforcements and carry extra treasure and loot. From around 1515, Portugal had trade exchanges with Goa in Portuguese India, consisting of 3 to 4 carracks leaving Lisbon with silver to purchase cotton and spices in India. Out of these, only one carrack went on to Ming China in order to purchase silk, also in exchange for Portuguese silver. From the time of the acquisition of Macau in 1557, and their formal recognition as trade partners by the Chinese, the Portuguese Crown started to regulate trade to Japan, by selling to the highest bidder the annual "Captaincy" to Japan, in effect conferring exclusive trading rights for a single carrack bound for Japan every year. That trade continued with few interruptions until 1638, when it was prohibited on the grounds that the ships were smuggling priests into Japan. In the middle of the 16th century the first galleons were developed from the carrack. The galleon design came to replace that of the carrack although carracks were still in use as late as the early 17th century.